Click the photo to view this and more in my Photos & Digital Art Shop. My grandson Dylan recently invited me to participate in his first grade's Flat Stanley project, based on the book Flat Stanley by Jeff Brown. 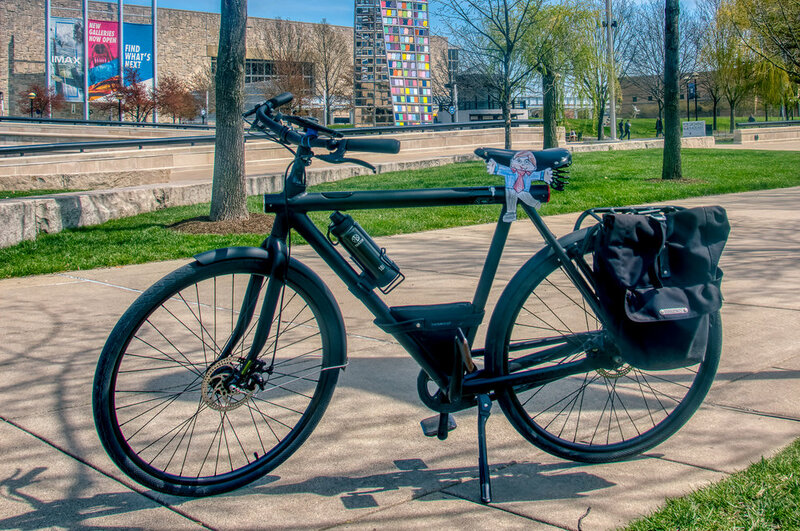 My task was to take Dylan's paper Flat Stanely with me on one of my cycling trips around the Cultural Trail. Yesterday was a perfect day for such a journey, and these are the photos I took of our adventures. Our first stop was the Lugar Plaza Sculpture in front of the City-Country Building in Indianapolis, Indiana. This is one of the bicycle counters on the Indy Cultural Trail. We think the device was on the fritz because it usually shows a daily count of cyclists. Or, perhaps it was a very busy day! We are now at the Idle, an interstate-viewing park along the Cultural Trail. We chatted with some friendly people there. 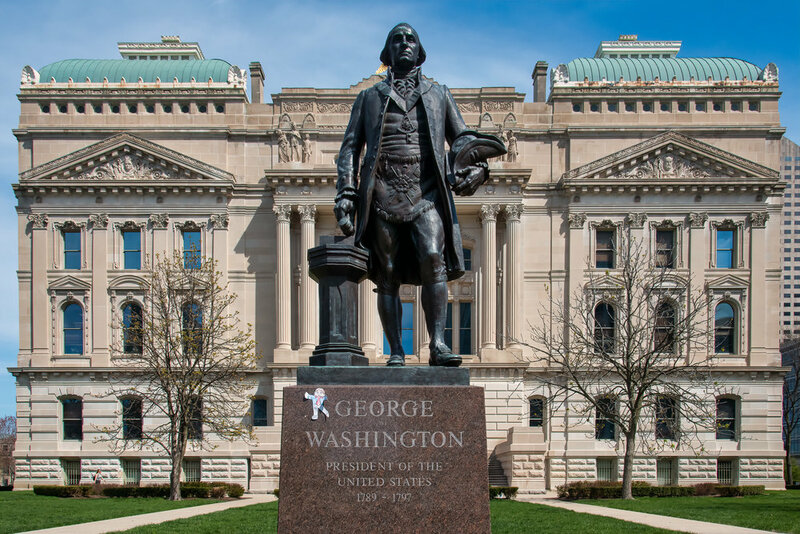 Our next stop was at the statue of George Washington, our country's first President, in front of the Indiana State House. Can you find Flat Stanley on The Tent, a sculpture by Donald Lipski at White River State Park? Here's another view of White River State Park, in the heart of Indiana. You can see The Tent in the background. Flat Stanley and I were excited to see the brand new sculpture on the Washington Street Bridge at White River State Park. 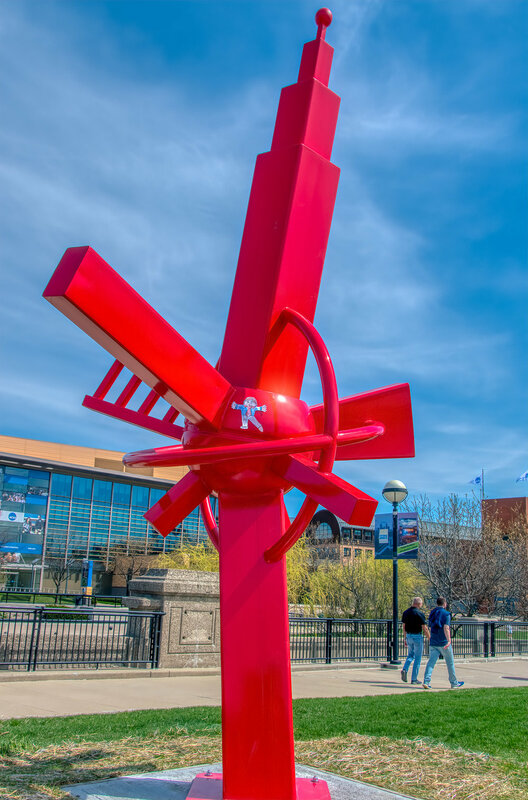 The bright red sculpture is called Don't Forget Us, and its creator is Nathan Pierce. It reminded us of a telecommunications satellite. Our final stop was at the Indiana State Museum. We noticed some school students on a field trip entering the building. They are about to see some exciting exhibits like Color of Style and Cardboard Engineering! The pizza box this group of co-workers design is the same pizza box that Apple patented and uses at its Caffè Macs cafeteria at One Infinite Loop in Cupertino.